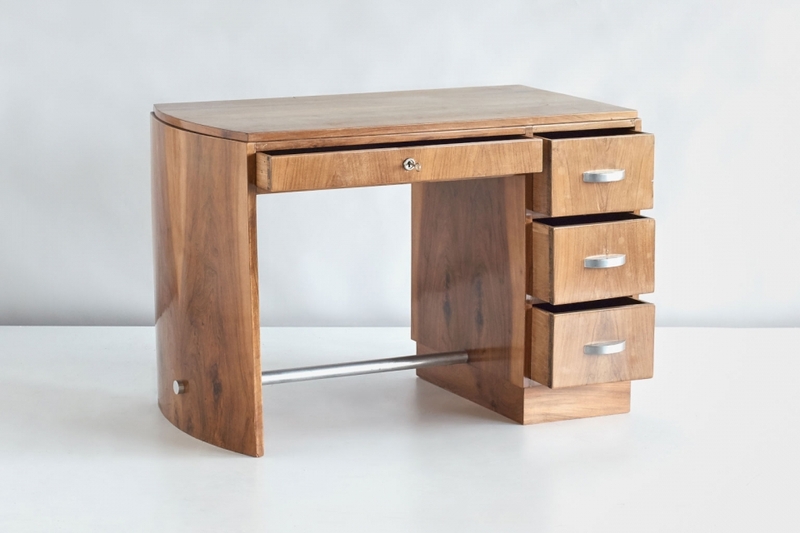 A French rosewood Art Deco writing desk, attributed to Jacques Adnet. Distinctive characteristics include the single curved side, indented top and the metal details. 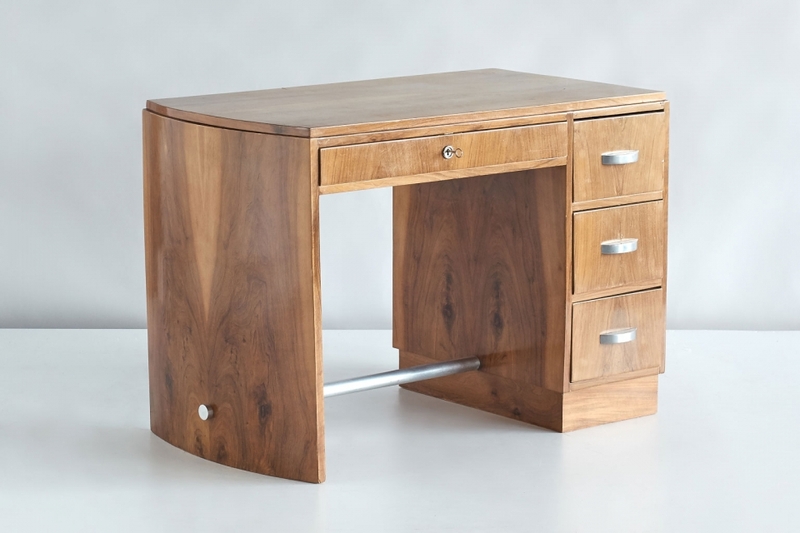 The desk is in vintage condition. The top and parts of the side have faded. Some user marks and scratches. Refinishing is advised. If desired, our team of professional woodworkers and restorers can provide this service.